Butter coffee is a blend of organic coffee, grass-fed butter, and MCT oil. When combined with coffee, the ingredients work together to keep your energy levels sustained for hours, without the typical coffee crash. Butter coffee is also known to boost cognitive function, support fat burn, balance mood and hormone levels, and reduce hunger. It's one of our favorite drinks on the planet, and we've dedicated our lives to sharing it with you. 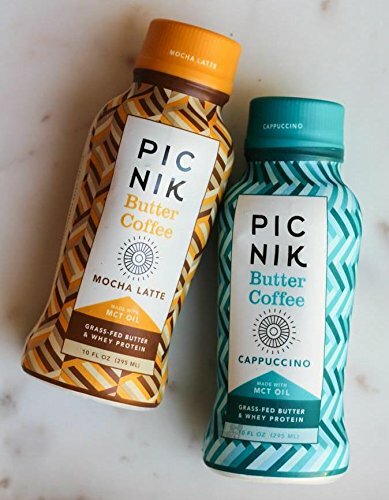 Includes 2 Bottle of each Picnik Butter Coffee Flavor - Cappuccino and Mocha,, 10 oz. If you have any questions about this product by Picnik, contact us by completing and submitting the form below. If you are looking for a specif part number, please include it with your message.